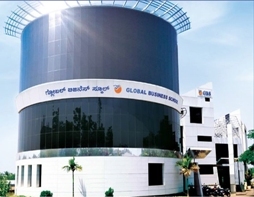 GBS, Hubli is bringing you world class, International degrees along with its own industry-designed PGDM and Executive MBA programs. The programs are carefully designed by industry-trained faculty who personally will help you with your course work, projects, teaching, and assignments. With its Wi-Fi enabled classrooms, up-to-date computers and latest software, students will be at the center of learning environment. Students can experience a silent, serene ambience of our library ready with useful books to equip them with management knowledge. Specially designed Faculty rooms provide for fruitful interactions with students and colleagues; faculty development programs and management development programs help keep the faculty up-to-date; and regular seminars on various management topics makes faculty rich with experience to share with students further. Our Placement Cell will train and counsel students to make them ready for an exciting career in management. Moreover, our associations with foreign Universities, such as Universite Pierre Mendes France, Grenoble, will give students an opportunity to get international placements as well.